Rachel Harmeyer is a Houston-based visual artist who explores a wide variety of media in her creative work, from painting and drawing to collage, bricolage, and surface embroidery. 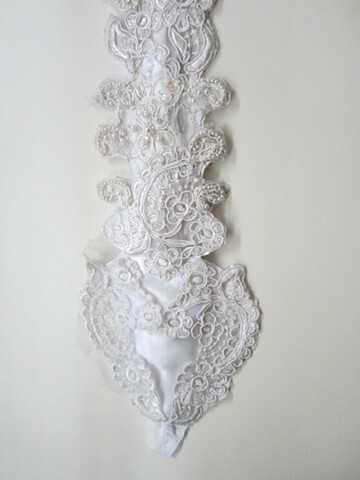 Her current work transforms exterior adornment into anatomical interiors. She employs processes and materials traditionally used in domestic craft to interrogate the ways in which the body is objectified and fetishized in fashion and medical illustration. Rachel received her BFA from the School of the Art Institute of Chicago, and is currently a PhD Candidate in Art History at Rice University where she studies the visual and material culture of the 18th and 19th centuries.